Once open this summer, it would be the third location for Domoishi and owner Huang, who is based in Hampton Roads. Domoishi is opening its first metro Richmond restaurant at Chesterfield Meadows Shopping Center. Prior to rolling out Domoishi in February, Huang founded Sushi King – an all-you-can-eat Japanese sushi joint in 2012 in Virginia Beach. In four years, he opened 14 Sushi Kings across Virginia, including two in Midlothian and one near Innsbrook in Henrico. But Huang admitted that keeping track of the restaurants’ daily needs and demands had grown challenging. After opening his last Sushi King in Sterling in 2017, Huang slowed things down and sold all of the restaurants in late 2018 for an undisclosed amount. Then, before he knew, he was back at it again. Using his connections as a wholesaler and importer of bubble tea equipment and other goods used by Asian restaurants, Huang began cooking up a new concept that became Domoishi. Domoishi operates restaurants in Williamsburg and downtown Norfolk, with new locations set to open in Newport News, Suffolk and Virginia Beach in the coming months. 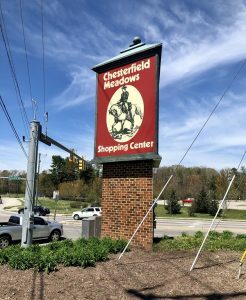 Restaurants in Short Pump and downtown Richmond are pending, although the locations have not been finalized. “I didn’t think I’d be at this point again in my career so quickly, but here I am,” Huang said. The new Chesterfield restaurant will open in the former Snap-A-Roll Hibachi and Sushi space, which closed this year and still has one location in the Brandy Hill shopping center in Mechanicsville. 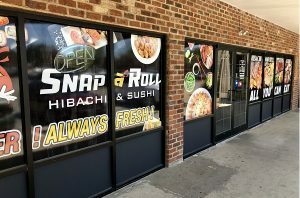 Domoishi will open in the former Snap-A-Roll Hibachi and Sushi space at the shopping center. Huang said he’s invested about $200,000 to overhaul the 7,800-square-foot space, much of which would be dedicated to warehousing, with the rest hosting 20 to 30 tables for diners. He’s targeting a late June or early July opening. He hasn’t selected a general contractor for the renovations. Broker Richard Jacobson with S.L. Nusbaum Realty Co. represented the landlord in the lease transaction. Huang said he’s also looking to franchise Domoishi by 2020 to markets throughout the East Coast. 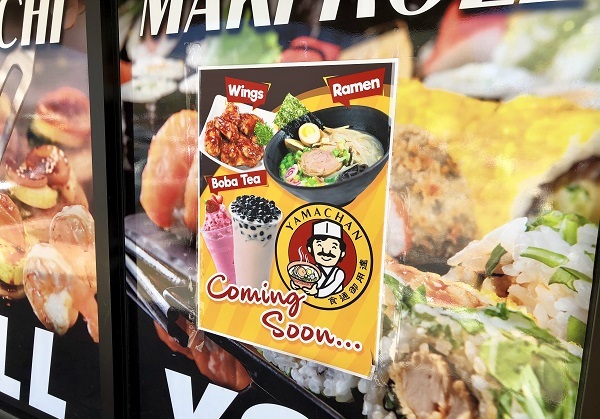 1 Comment on "Former Sushi King owner rolls out new restaurant brand in Richmond"
This is very good news — it’s in my neighborhood and I’ll be a steady bubble tea and ramen customer.